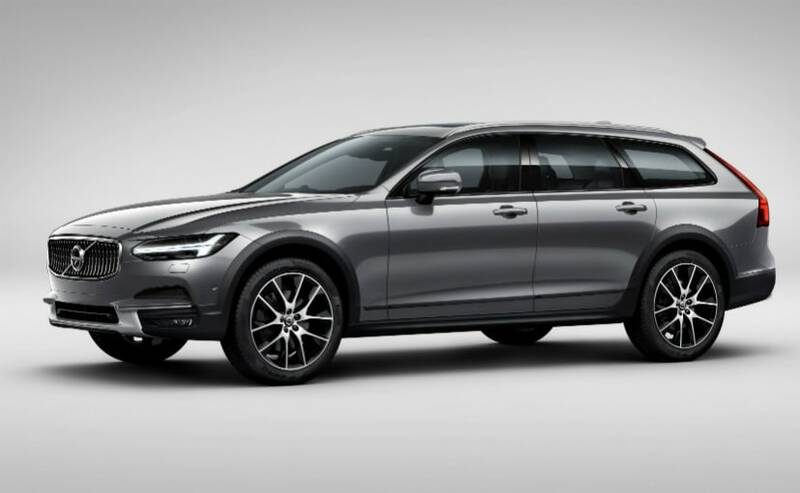 The new Volvo V90 Cross Country shares its design and styling cues with the carmaker's popular premium sedan - the Volvo S90. The V90 CC is powered by 2-litre diesel motor makes 235 bhp. The Volvo V90 Cross Country will soon be launched in India. This is the first time that a luxury crossover estate will be launched in India. 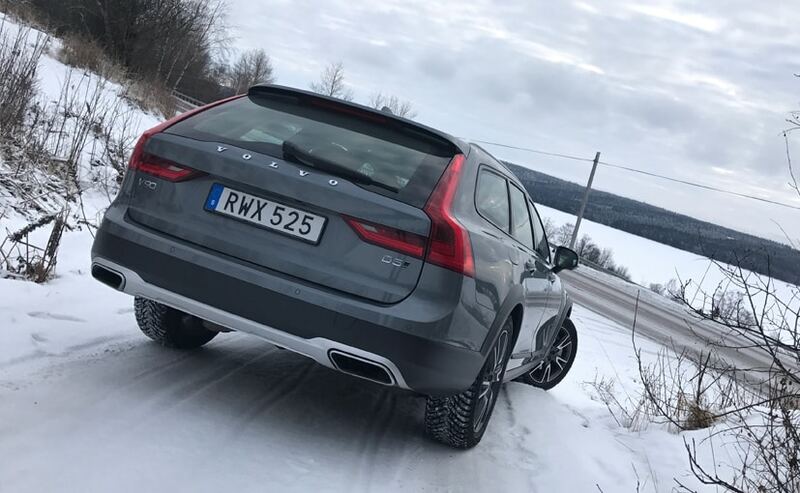 The V90 Cross Country made its global debut in September 2016 and we drove the car in February this year as well. Needless to say it impressed us. Volvo Cars has based the styling and design of the V90 Cross Country on the S90 sedan. And that is not a bad thing at all. Follow our live updates from the launch event of the Volvo V90 Cross Country. Here are 10 key things that you need to know about the all-new Volvo V90 Cross Country. The Cross Country suffix on Volvo Cars model denotes that it is crossover version of a regular Volvo hatchback or a sedan. In this case, the V90 Cross Country is the crossover derivative of the V90 station wagon, which itself is based on the popular Volvo S90 sedan. 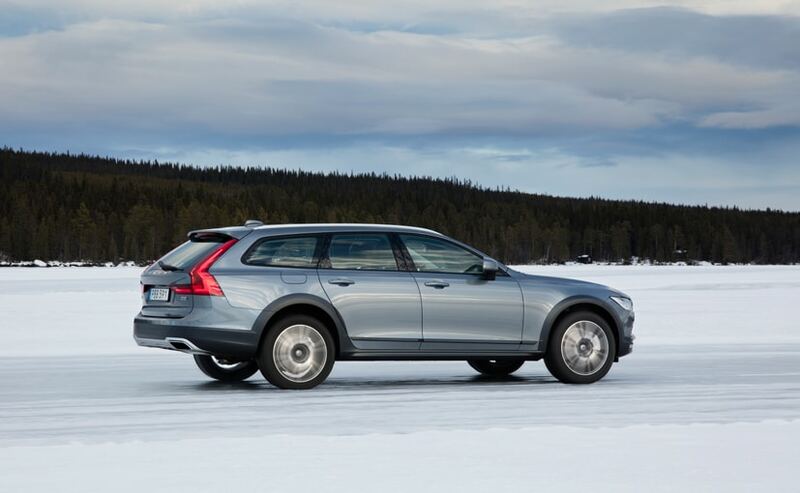 Also, Volvo says that the V90 Cross Country is the spiritual successor of the XC70 and the V70 models. The XC70 was in the final year of its production last year and the mantle has been taken over by the V90 Cross Country now. A lot of things, specifically in terms dimensions, styling and features, on the Volvo V90 Cross Country, are quite similar to the S90 sedan. This means the car is sure to satisfy all your comfort needs. The design language has been carried over from the S90 and some resemblance is seen thanks to the striking grille and the Thor's Hammer LED daytime running lights. The differentiating factors, however, are the more aggressive bumpers with the faux skid plate, plastic black cladding on the belt-line and brushed aluminium finished roof rails. Compared to the S90 sedan, which is 4963 mm long, the V90 Cross Country is slightly shorter at 4938 mm. But the V90 CC is taller at 1542 mm compared to the S90's 1433 mm height; courtesy of its SUV-like ground clearance of 210 mm. Width and wheelbase of both the cars are identical at 2019 mm and 2941 mm respectively. Like other Volvo SUVs, the V90 Cross Country gets the vertically stacked LED taillights and uses 20-inch alloy wheels that hug the wheel arches. The boot provides 590 litres of cargo space, which can be extended to 1526 litres with the rear seats folded. Inside, the cabin design has been carried over from the Volvo S90 complete with soft-touch materials and the massive tablet sized touchscreen infotainment system on the centre console. In the car we drove, the interior came in a dual-tone colour scheme with tan brown leather seats and an all-black dashboard. There is an abundant touch of brushed silver across the cabin to add the premium effect. 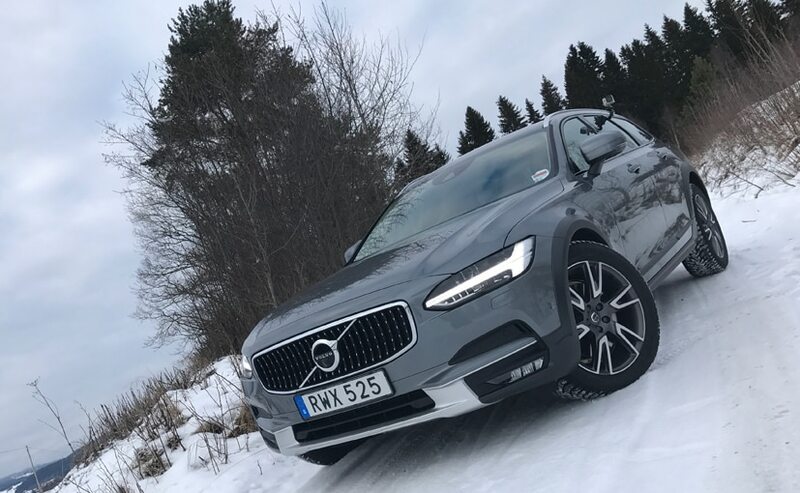 Under the hood, the new V90 Cross Country features the same 2-litre diesel motor that does duty on the S90, but power has been uprated to 235 bhp while paired to an 8-speed automatic transmission. Peak torque is clocked at 480 Nm. Being a Cross Country, the V90 has to get an AWD system and the 5th generation Borg Warner AWD to be specific. The AWD system is assisted by different driving modes as well. At maximum, the AWD system can split the torque in a 50:50 ratio between the two axles if and when required. Volvo India will bring the car to India as a CBU and is aiming to sell 200 units a year. While prices were expected in the vicinity of ₹ 75 lakh (ex-showroom), it is likely that the post-GST tax slab might just make the Cross Country a little bit cheaper. Now, the station wagon or an estate is not very new to India, but it is surely not the most desired body type either. A couple of years back Audi entered the market with its performance oriented RS6 Avant, which is the only one currently in the Indian market. While the car did impress us the same cannot be said about Audi's customers, especially because of its massive price tag, which was ₹ 1.35 Crore (ex-showroom, Delhi) at the time of its launch. Volvo, on the other hand, is keeping it simple by offering fun SUV-like performance and rugged styling coupled with sedan-like comfort and luxury features. So can the V90 CC create a liking among Indian car buyers for station wagons? Well, we surely will have to wait and see.